Do You Sell Used Tires? Yes we do! Call today and we can tell you what pairs/sets we have on hand. Yes we do. They are 37.50 a piece and come with a one year warranty. Our Gold Seal Certified facilities are open Monday-Friday from 8am to 5pm. However, our website is ALWAYS open! We sell door glasses, quarter windows and back windows. However, we do not sell windshields. We recommend that you call your local glass supplier for windshields. Do You Do Installation on Any Parts? We do not do installations. However, we would be glad to give you referrals to reputable garages in your area. Please give our sales staff a call for more information. Can We Pull Our Own Parts Onsite? At this time, we do not allow customers into the yard. We remove and inspect all parts in our quality control center before shipping or customer pickup. 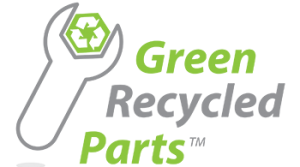 Please call for parts needed or gladly shop our website here for what we have in stock and ready for delivery or pickup. Do You Buy Wrecked Cars or Unwanted Vehicles?